"You embrace regulation?" asked Sen. Lindsey Graham, R-S.C. 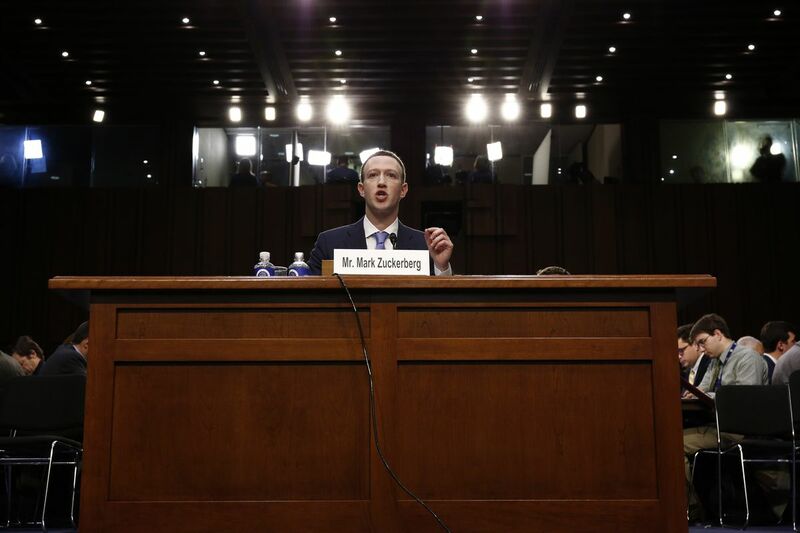 Many are focusing — understandably — on Zuckerberg's stance on the countless and complex free-speech issues raised by Facebook's dominance and reach. Zuckerberg kept suggesting that artificial intelligence could soon solve most of these problems by policing "hate speech" and perhaps "fake news" faster than human monitors ever could. Sen. Ben Sasse, R-Neb., had a brilliant line of questioning that exposed at least some of the problems with handing over these responsibilities to the real-world equivalent of HAL from "2001: A Space Odyssey" or Skynet from the "Terminator" movies. Added Zuckerberg: "I do generally agree with the point that … as we're able to technologically shift toward especially having AI proactively look at content, I think that that's going to create massive questions for society about what kinds of obligations we want to require companies to fulfill." And which company will have the loudest voice in the drafting of these new rules? If history is any guide, the obvious answer is … Facebook. The story repeated itself during the New Deal. The "malefactors of great wealth" that FDR demonized welcomed government regulation. Famed lawyer Clarence Darrow issued a report on the New Deal's industrial "codes" and found that in "virtually all the codes we have examined, one condition has been persistent. … In Industry after Industry, the larger units … have for their own advantage written the codes, and then, in effect and for their own advantage, assumed the administration of the code they have framed."